It's play ball again for the Hawaii Winter Baseball league this fall. The pro development league returns after an eight-year hiatus with four Oahu teams each playing 40 games in October and November, sources told the Star-Bulletin. The original HWB, in operation from 1993 to 1997, had five teams on four islands made up of prospects from the U.S. and Japan. Alumni include major league all-stars Ichiro Suzuki, Jason Giambi, Preston Wilson, Todd Helton, Randy Winn and Aaron Boone. Pros with local ties, including Benny Agbayani, Chris Truby and Joey Vierra, also played in the league. The league shut down after the 1997 season because of finances, but Hawaii Winter Baseball kept its Honolulu office open in hopes of reviving the league in the future. HWB also remained a force in promoting local baseball with clinics and appearances featuring Cal Ripken and Dusty Baker, among others. HWB owner Duane Kurisu, who is also a part-owner of the San Francisco Giants, declined yesterday to confirm the league's return, but he did say there would be a major announcement soon. 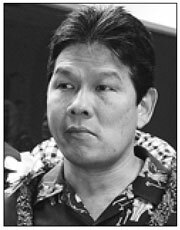 "I don't have anything to say now, but we will have something in the coming weeks," said Kurisu, who is a minority owner of the Honolulu Star-Bulletin. Other sources said an announcement would be made in Japan next week, and there will be a news conference in Hawaii on May 31. In 2002, Kurisu said he hoped to restart the league in 2003. "It has to be done, whether it's 2003 or sometime later," Kurisu said in 2002. "It has to come back. It's too important of an institution to let die away." A source said yesterday "the league is definitely a go" this time. A key component of the league's revival is financial support from Japanese baseball, sources said. The league's Oahu games were played at Rainbow Stadium (now Les Murakami Stadium) at the University of Hawaii and Hans L'Orange Park in Waipahu.